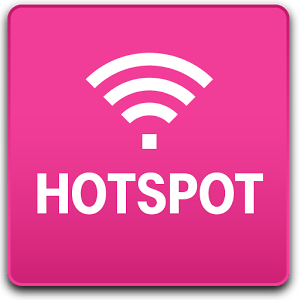 If you have a mobile device, there is a pretty good chance you may want to use it as mobile hotspot. Leran from my experience for smooth sailing. I greatly prefer the mobile hotspot on the Galaxy S5. For me, the mobile hotspot is an emergency option, usually reserved for a work emergency. On the iPhone 5 and 4S, my wife was unable to connect to her work VPN on her work laptop. This was a real problem and greatly diminished the value of the hotspot for us. We went to breakfast the Sunday after I switched to the S5, two days after the switch. I had never used the hotspot, my wife needed to log in at a specific time in the very near future, and the restaurant we were heading to for breakfast had no customer WiFi. Would our heroes need to wolf down their food and rush back to the house? Being the prepared type, I fired up the hotspot as soon as we sat down, configured it, and watched as it tried to verify my account for about a minute...then stop. No hotspot. Repeat. Same. I called customer support and they informed me that a restart is often necessary after initial hotspot configuration. I do that...and it works! And not only did it work, she was able to connect to her work VPN. So, kudos to the G5, for doing something important that our iPhones could not. A leisurely breakfast thanks to the G5. TIP: The easy route for adding devices to your hotspot list is to fire up mode #1 (allow all devices) and have the desired device connect. Once it has, you can see the device in your hotspot app and choose to add it to your list. Much easier. Then you are ready for mode #2 when you need more security. As I mentioned I called customer service. I have to take a moment to say how please I was with it. When I first called, the person asked a few questions and routed me to a specialist. That specialist provided the restart fix, but she also arranged to call me back in one minute. She called back, I explained that things seemed to be working, but we still needed to try connecting through it. Without any provocation, she arranged to call back in five minutes to insure everything was working as planned. Both representatives were friendly, patient, and helpful. Thumbs up for the T-Mobile/G5 Mobile Hotspot.